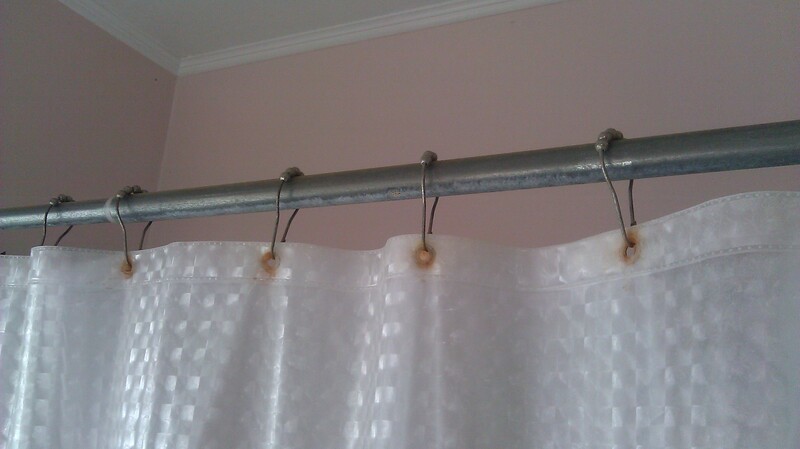 Even though people take their shower curtain and accessories when they move, prospective buyers still don’t want to see rust, dirt or tears. Time to get a new set if yours is looking similar to the ones in this picture. Keep it inexpensive and go with a plain curtain with plastic rings.